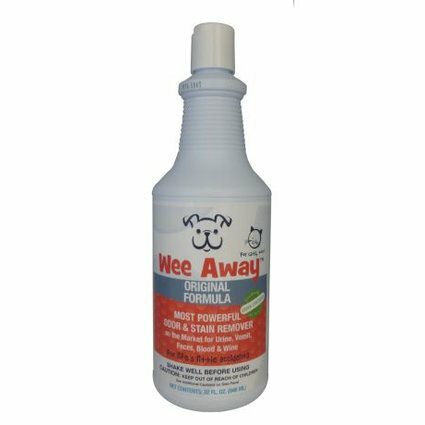 Wee Away is a powerful odor and stain remover specifically designed to eliminate odors and stains from pet accidents such as urine, vomit and feces. Because it was designed to remove difficult urine odors, it is powerful enough to be used on other organic odors such as garbage areas, septic tanks, mold and mildew. Wee Away combines special strains of natural bacterial that have been cultured specifically for their ability to digest waste quickly and effectively. Natural enzymes and special performance enhancing additives ensure speedy breakdown of all organic matter. 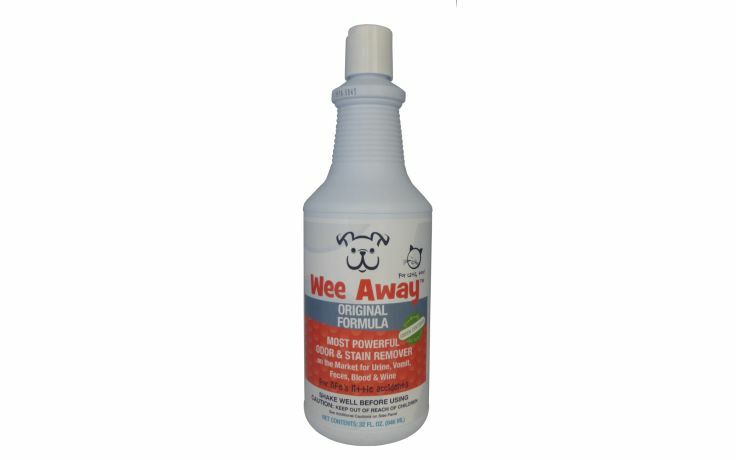 Wee Away destroys the source of the odors and stains, unlike other products that simply attempt to mask them! Shake well before using. For vomit or feces, remove with a damp paper towel. For urine puddles or urine marking, dry with a dry cloth or paper towel. Blot, don’t rub, until all the urine is soaked up. Saturate area with Wee Away. When area dries, reapply and repeat as needed. This product needs to be wet to work, so don’t wipe off after applying.